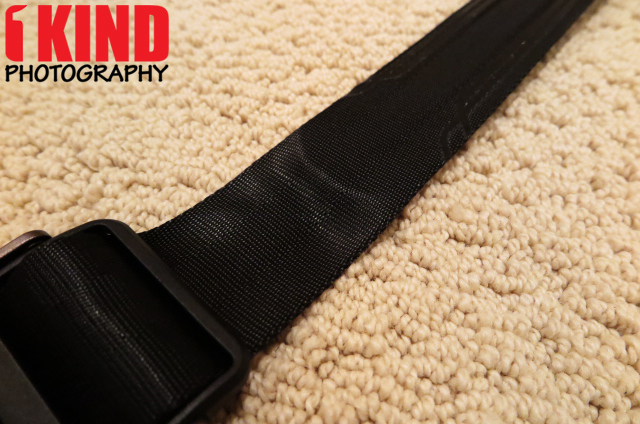 Overview : Slide™ is the most versatile professional camera sling strap in the world. Wearable as a sling, neck or shoulder strap, Slide™ is made of 45mm tubular seatbelt-style webbing with internal padding. Slide™ has aluminum quick-adjusters and our patent-pending Anchor Link™ quick-connectors. Comes with 4 Anchors and 1 Standard Plate for attachment. 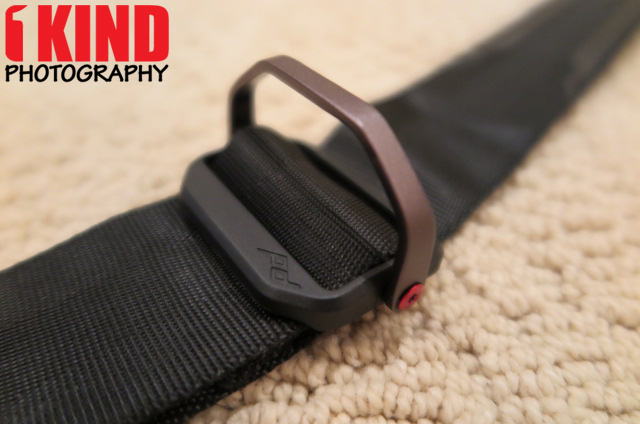 Quality/Usability : When Peak Design released the Leash, it was their first strap that offered multiple uses such as a camera tether, security strap, neck strap and even a sling strap. 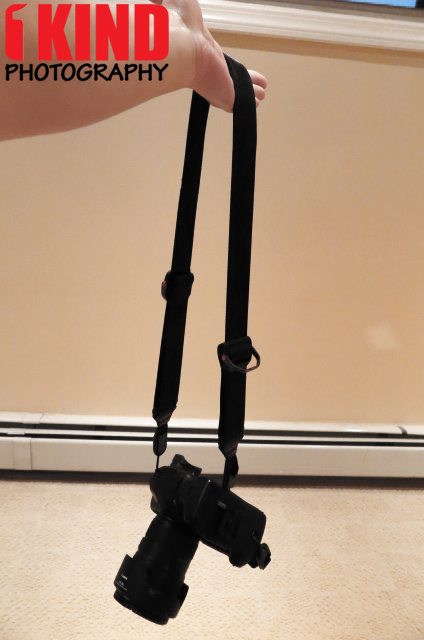 Even though it worked well, it wasn't a true sling strap that photographers had wanted. It didn't offer some features that a sling strap would have nor the full support and comfort. 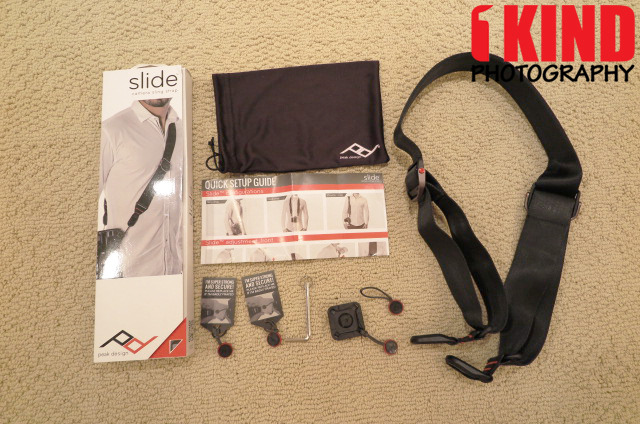 Peak Design went to Kickstarter to offer the Slide Strap along with the Clutch Camera Hand Strap to backers. The unit I received is a pre-production model but is near the final retail product. Included is the Slide strap, standard plate, hex tool, two anchor disks, two additional spare anchor disks in case the first two start to fray, a pouch and quick start guide. At first glance, the Slide looks like a seat belt from a race car or the strap/harness when you're skydiving. 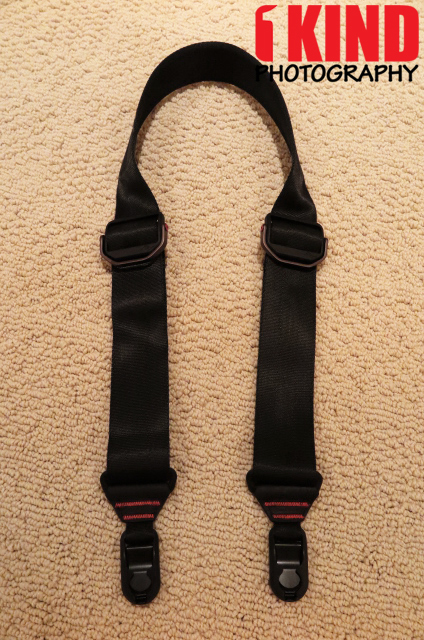 Both sides of the strap looks identical, so there is no wrong way of putting it on. The bottom of the strap is seamless and stitchless. 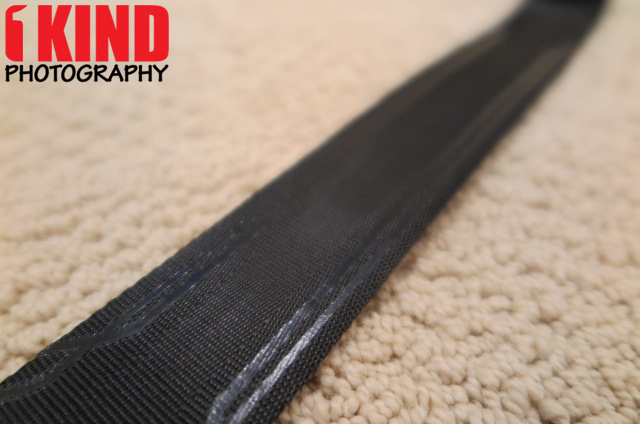 Typically, majority of the straps I reviewed has the webbing and a separate padded area. 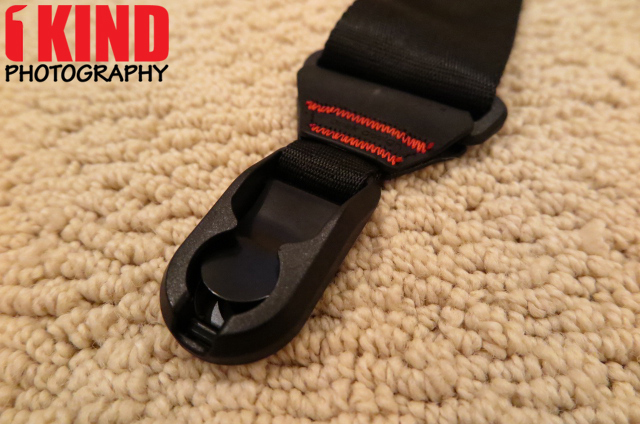 One of the unique features that makes the Slide different from other straps is the tubular seatbelt-style webbing. This allows for padding to be inserted into the tubular webbing but still give it that look that it looks like a complete strap. With other sling straps, it can be used on one side only. 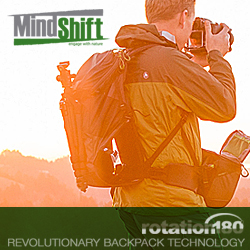 With the Peak Design Slide Strap, it utilizes both sides of the camera strap. Smooth on one side and grippy on the other. So depending on your preference, you can choose which one will suit your needs and shooting situation. 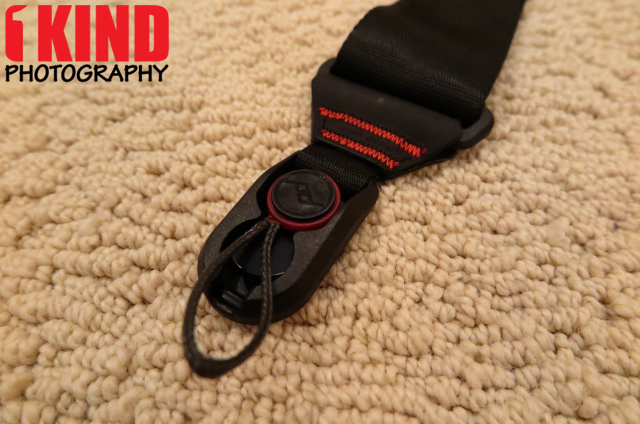 One feature that is becoming a standard with sling straps is the ability to cinch the strap, For the Slide strap, it's part of the buckle along with a nifty lever handle. When I first saw the lever handle, I thought it also acted as a clamp to prevent the buckle from sliding but it wasn't. It was just a handle. It would be nice if they incorporated a clamp to help lock the buckle in place. To cinch, simply pull the lever handle up and pull the entire buckle down to cinch the camera up and push the lever handle back down so that it doesn't get in the way. You can also just push the entire black buckle down from the top of it as well. To loosen the strap, simply pull the lever handle up and pull the buckle up and push the lever handle back down. It's that simple. 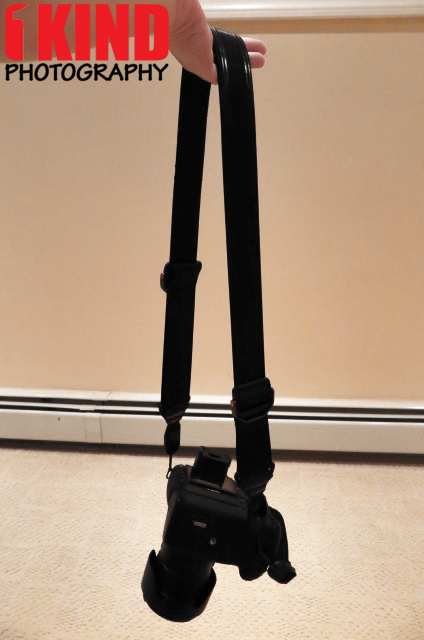 And yes, it works on both sides of the strap. The gliding motion is smooth as it can be. When I flipped the strap to the grippy side, the front of the buckle is now facing and resting against my body which felt a little weird. To some, it may feel a little uncomfortable. The anchor link and anchor disks are pretty much a standard piece for all Peak Design products. 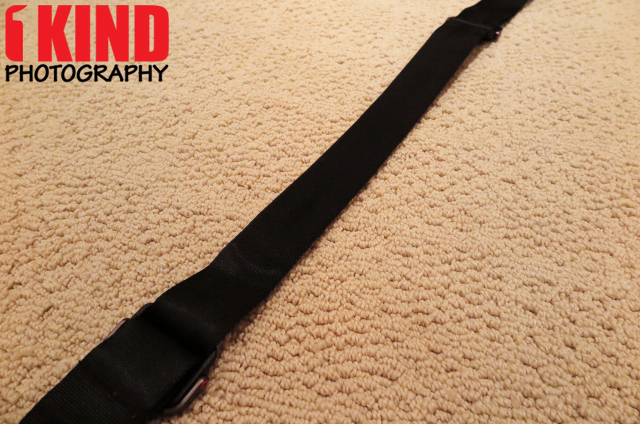 They were first introduced with the Cuff Wrist Strap and Leash Camera Strap. 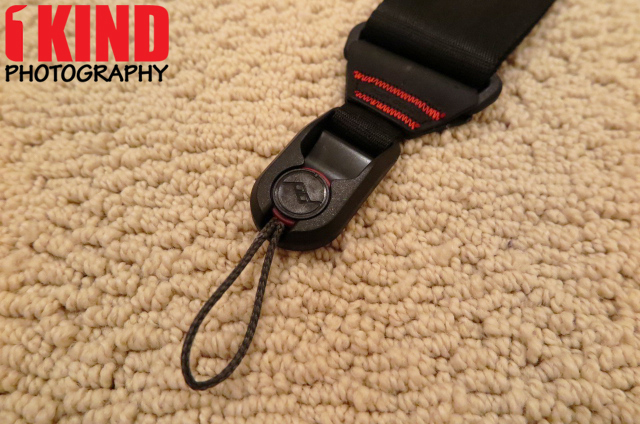 A. Insert the anchor cord through the the loop at the bottom of your camera (grip) or quick release plate that is used for straps. 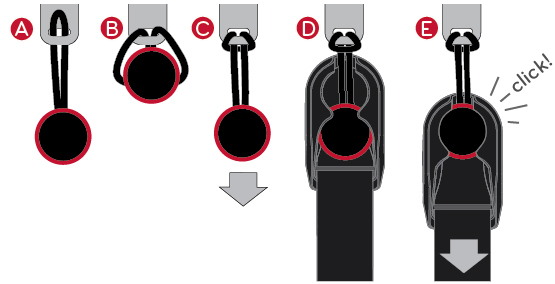 D. Attach the Clutch to the anchor by sliding the anchor disc into the housing in the direction shown. 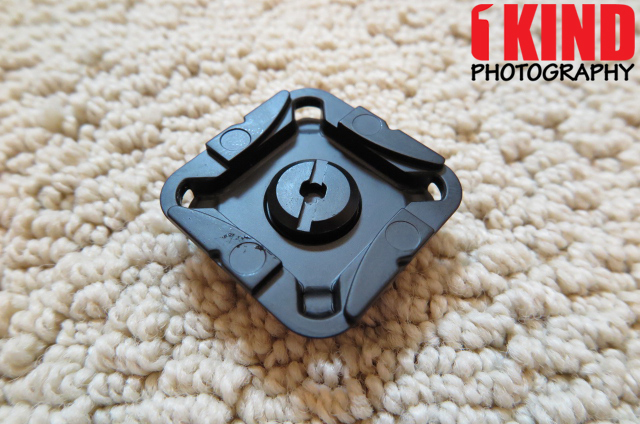 The standard plate is the quick-release plate that comes with the standard Capture® Camera Clip. 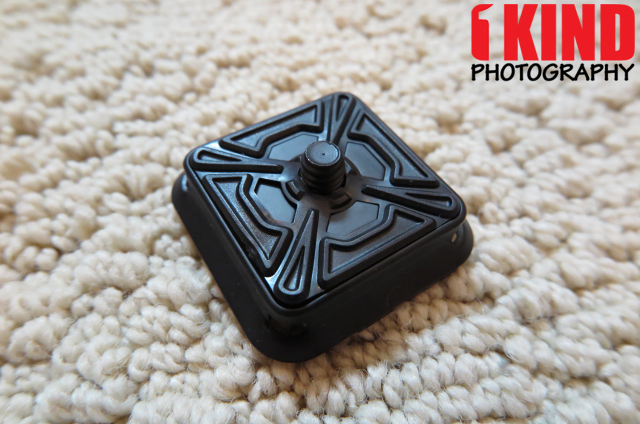 It's compatible with most ARCA-type tripods and fits in Capture® in 4 directions. It is made of die-cast/powdercoated construction. Using the standard plate is optional but it's nice that they included it. 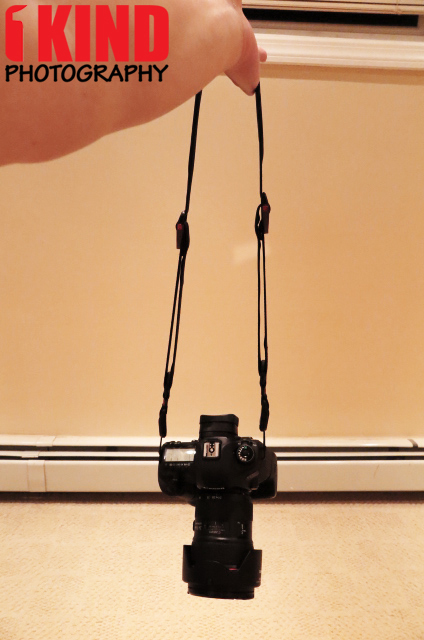 You can hold your camera multiple ways depending how you want to carry it. The Summit Edition is the same as the original black but in two new colors, Tallac (navy and heritage tan) and Lassen (red and heritage tan) and costs an additional $5 more. 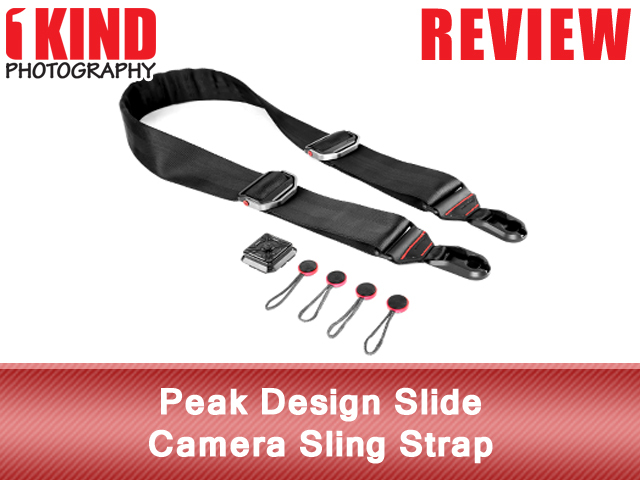 Conclusion : Overall, the Peak Design Slide Camera Sling Strap takes a sling strap to the next level not only in functionality but design as well. 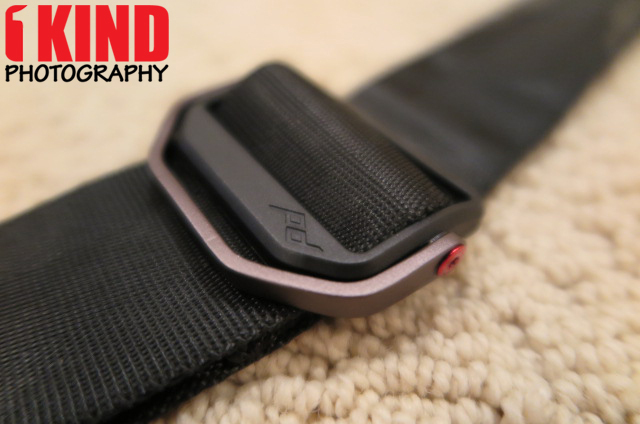 Peak Design has done a great job at designing this strap. Not only is it sleek looking but it's also comfortable.